This can be applied to love vis-à-vis another person. True love is based on giving, satisfying the needs of the other person and wishing to see him content, and certainly not the desire to receive from him/her. Parents’ love for their children is a good example, and is true for any genuine and altruistic love. The definition of love is a pure and real desire that the object of your love will be content. Fulfilling this goal satisfies the giver even more than the receiver. The more one goes all out to please the one he loves out of pure motives, the more he himself will love that person. Our Sages teach us: “If you seek to draw your friend’s love to you, deal with him lovingly and seek his good” (Derech Eretz Zuta, chapter 2). This is contrary to what the world thinks, that, “I love, therefore I give.” A stable and constant love is developed by initially giving to the other, so if you wish to attract someone’s love to you, you must give and invest deep thought on how to benefit them. Our Sages use the word “to cleave,” as in to cleave your friend’s love unto you. This implies a deeply ingrained, steady, and constant type of love. But if someone is only interested in giving to the other when he feels like it, that love will be temporary and dependent on the factors behind the love. Subsequently, when those factors no longer exist, the love will dissipate. A man who adopts a child and toils for his welfare with the pure motive of the child’s good, will find himself strongly and lovingly connected to the child, like a person who nurtures a tender plant until it matures into a tree, or one who raises a puppy or kitten to maturity. The more effort he puts into their growth, the deeper will his love be towards that object, since he identifies with it to a great extent. If this is the case regarding the joining of two strangers in a loving relationship, how much truer is it between man and wife who are meant to really be one person comprised of two parts. We see then that a couple that seeks to live a life of mutual affection must remember at all times that there is only one way to achieve it: to devote a great deal of thought in identifying the needs of the other and in initiating a constant giving both in quantity and quality. Mutual giving means transferring part of the giver’s self over to the receiver. This will engender a strong love because everyone loves a person with whom he shares his very individuality. This love turns the two into one organism, one solid entity. This is why the word “ahavah”— love — [א=1, ה=5, ב=2, ה=5] has the same numerical value (13) as the word for one — echad — [א=1, ח=8, ד=4], because love creates the internal spiritual union between man and wife and turns them into one, echad, person. WHAT IS THE MEANING OF NOSEI V’NOTEN? In the verse above, concerning a person’s desire to “cleave” to and unite with his friend, our Sages use the term masa u’matan — negotiating and dealing with the other person’s welfare. What does this term actually mean? In the business world, negotiation involves two sides, where each side suggests ideas or discounts them, bargains and deals with the other through give-and-take until a mutually beneficial agreement is reached. This approach, say our Sages, should be applied in seeking and maintaining a stable and steady love. Sit with yourself and think: what can I do to bring about such a lasting love? How should I go about it? Consider different ways and ideas, negotiate with yourself and bargain, as it were, until you hit upon the right formula and achieve the desired result. In the same way, a wife who wants to love her husband should not wait for that affection to spring up on its own. She must be constantly thinking of ways to make him happy according to what she knows about him. If she knows that serving him a cup of coffee as soon as he gets home will make him really happy, she should figure out how to do it in the best way, like serving the coffee in a very nice cup and wherever he will be the most comfortable. And if he prefers his meal to be ready as soon as he gets home, that should be given the top priority of her daily tasks. A wife who accustoms herself to thinking this way will be surprised to discover how, after several trial runs, her mind will work much quicker and she will find many opportunities coming her way, with excellent results. Both spouses stand to gain from this approach. A couple that isn’t aware that ongoing giving generates love and preserves it over decades of marriage (and instead conduct their married life according to what is commonly believed in the world — that love in one’s heart finds expression through what he receives from the other) is living a life of constant disappointment. It’s no wonder that so many marriages end up in divorce. If the purpose of marriage is to receive, then when one does not receive, that love becomes nullified. Our Sages taught (Avot 5:16): “Every love that is dependent upon something, when that factor is absent, the love is absent.” The result is disappointment, leading to a chain of complaints that snowball into an avalanche that ends up destroying the marriage. Instead of love, there is ongoing pain, suffering, bitter tears, and frustration overwhelming the spouses and their children, day after day. 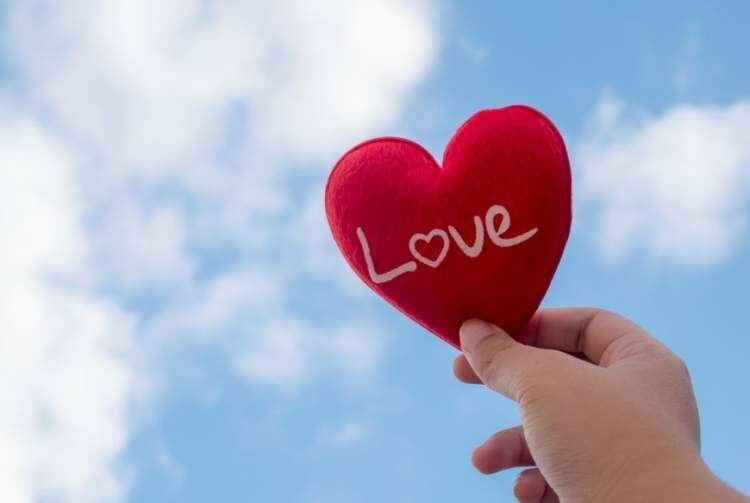 Two kinds of emotions fall under the definition of “love.” One is a feeling suddenly aroused towards another person and mistakenly termed as “love,” when it is actually no more than a physical-emotional attraction. Then there is an emotion stemming from purity and authenticity, which is wholly a desire to make that other person happy because you appreciate them as an exceptional person. The first kind is like an ignited spark that dies out and disappears when the “fuel” has burned itself out. The second type is a marvelous emotional bond based on a deep desire to give to the object of the love. It is a constant, abiding emotion, like the love of a parent for his children, a gardener for his plants, an artist and his creations — and between two people who wish the best for the other through a love of truth. When each spouse is aware of the correct definition of love, s/he can build up the love through a continuous giving, without keeping tabs on who is giving more. Abiding by the Torah guidelines, they will reach a state of mutual, immeasurable reciprocation and enjoy a happy marriage.